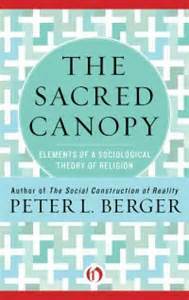 In this chapter of The Sacred Canopy, Berger argues that human existence externalizes meaning, thereby creating continuously reconstituted social worlds by which other human beings are socialized and ordered. 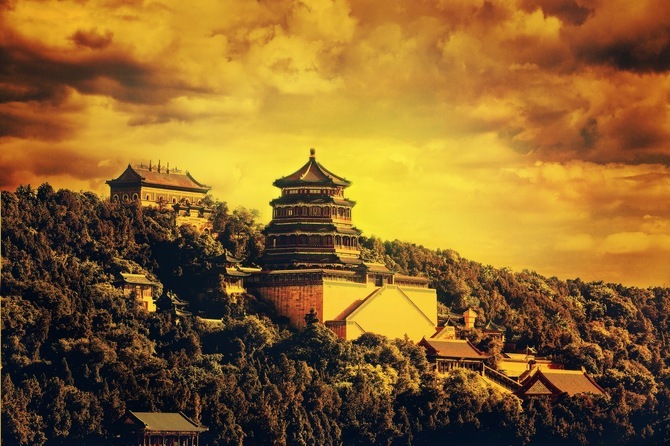 Berger further argues that religion has long been one of the most successful means of world-building, as religions imply meaning and order onto the totality of human existence. Here we examine an important facets of Berger’s argument, the importance of socialization among human beings within world-building and consider the implications of purposefully non-social forms of human activity for this thesis. Making sense of the world constitutes a necessary function of humanity, and for Berger humanity most effectively finds understanding through the development of culture and society (6-7). Grasping the centrality of this concept allows us to not only critically think about often reified concepts such as ‘culture’ and ‘society,’ but also offer the opportunity to recognize and engage different worlds that different peoples have built. Through engagement with the meanings that other humans have produced through the structures of ordered society, a processes continually occurring through aspects of socialization, we are able to recognize the functional and vital forms of meaning and order that religions have provided human existence. Berger rightly points us toward the assumed within the institutions and norm-producing social interactions which often unconsciously shape our existence and thought. Indeed, he goes on to note the centrality of understanding “man together” as the creators of culture and meaning (7-8), an important concept, not only for engaging that which is common to a religious tradition, but reflexively useful as well. As we engage various visions of the Ultimate, consideration of the centrality of social order and cultural meaning will provide useful tools by which we may consider the collective formation and develop of these ideas and the functional social memory and the ongoing establishment of a religious adherent’s interaction with the Ultimate. Throughout much of this chapter, Berger seems to argue that removal from the social necessarily leads to meaninglessness, anomy, and chaos (22). This emphasis, however, raises questions concerning those instances where human beings purposefully reject socialization and cultural meanings. For example, one thinks of the Desert Fathers, those Christians operating outside the norms of an early institutional Christianity in Egypt. For these men, there was very little involving “together-ness” in any meaningful sense, moving directly against Berger’s claim that humans take their social world’s for-granted, and even demonstrating that people can purposefully move into the “marginal” situation where Berger argues social worlds are most easily upset (23-4). Yet the broader Church saw this not as a rejection of the social order of the institution, but as an admittedly more individualistic alternative to the communal order. Such narrative, along with other examples of renunciation within various religious contexts, seemingly problematize Berger’s claim concerning the necessarily social function of human activities and suggest a possible counterexample to Berger’s claim that social culture produces culture and order. Such non-social worlds do not, at least in the main Christian tradition, reject the possibility and formation of meaning, but undertake lives distinctly separate from normed social order. As a possible answer to this question, we note that those Christians leaving the “world” for the “desert” tended to view their departure as a commentary on society, and thus were still engaging the meanings within that society, albeit in a non-traditional way. Additionally, we note the tendency of religious societies to eventually institutionalize persons who move away from the specifically social, thereby forcing them to re-engage the social aspects of culture and meaning, would seem to indicate that while no one remain disconnected from social meaning entirely.